Not quite the perfect weekend but with all the recent highs, maybe a low was expected. I did have my theory about first legs or ties where there is a replay and it may have stuck again! Winning against Stoke will put us back on track then we have our day at Wembley to look forward too. Still fighting on all four fronts (my favorite saying!) and this time next week, may have the first silverware of the season. 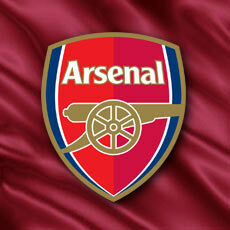 Come on you Arsenal! Enjoy the week!